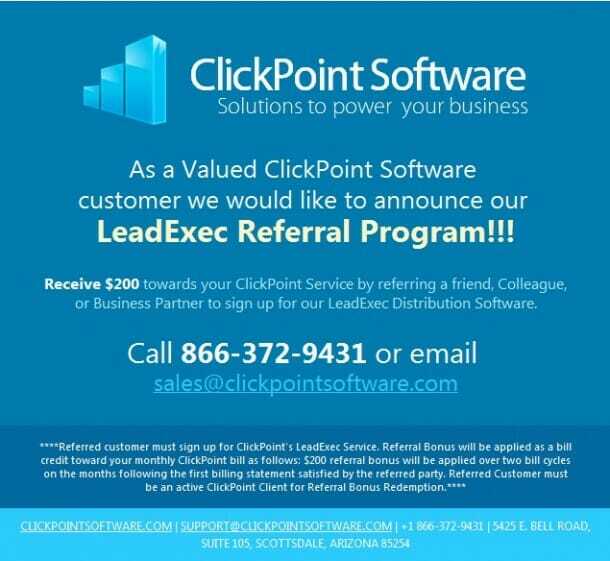 ClickPoint Software received an overwhelming response from our customers when we introduced the LeadExec Referral Program. Due to the high participation we are extending the program for another two months. LeadExec customers can receive $200 towards their service when they refer a friend to us. Please see the details of the program below to claim your rewards. This entry was posted in ClickPoint News on February 10, 2012 by Gabriel Buck.